Also called spatial augmented reality, projection mapping turns a 3D object into an animated surface. As anyone who has experienced the Haunted Mansion at Disneyland would know, it’s been around for quite awhile, but it’s now increasingly used to launch products, enliven events, and captivate audiences at business conferences. With specialized software and new technologies, reality can be transformed into dynamic illusions, combining motion graphics, 3D animation, and video to manipulate the geometry of the architectural canvas. 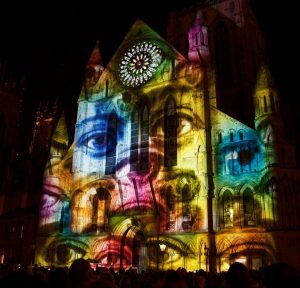 Why is projection mapping useful to marketers? Because it makes a lasting impression. Most of us have spent more time than we’d care to recall attending lacklustre meetings and yawning through predictable presentations. Imagine your clients opening the door to your special event and, rather than the usual fluorescent lights and sterile room, they are greeted by moving images on the walls and structures. The possibilities are endless – a forest with animated wildlife, flowers blooming in a garden, historical figures telling their story, ocean waves, product design – perhaps enhanced by sound and scent. A touch of drama goes a long way! Traditional videos capture footage in the direction that the camera points to, and viewers simply click the play button. 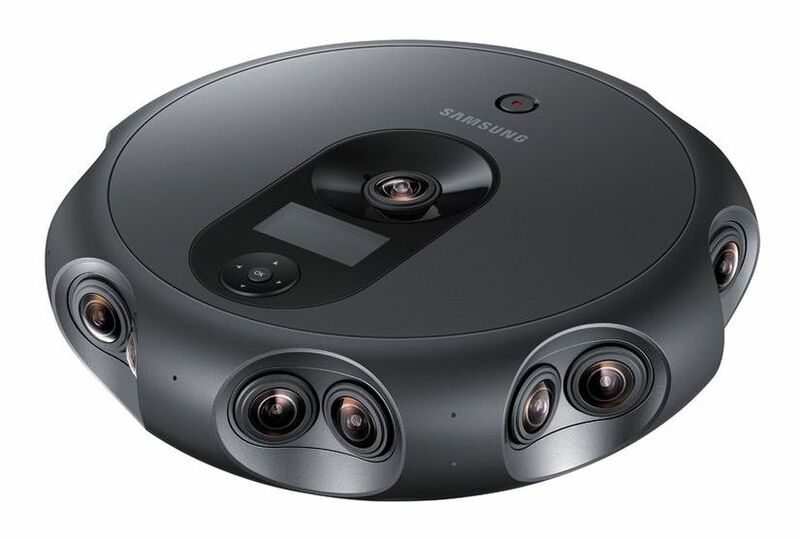 New immersive technology is gaining traction with 360-degree video that records the action with a view in all directions, with viewers able to choose the perspective by clicking and dragging on the screen. 360-degree interactive video is shot with either an omnidirectional camera with multiple embedded lenses, or a collection of cameras, to create a panoramic experience. In post-production, the footage is merged into a spherical piece through video ‘stitching’, calibrating the colour and contrast of each shot. 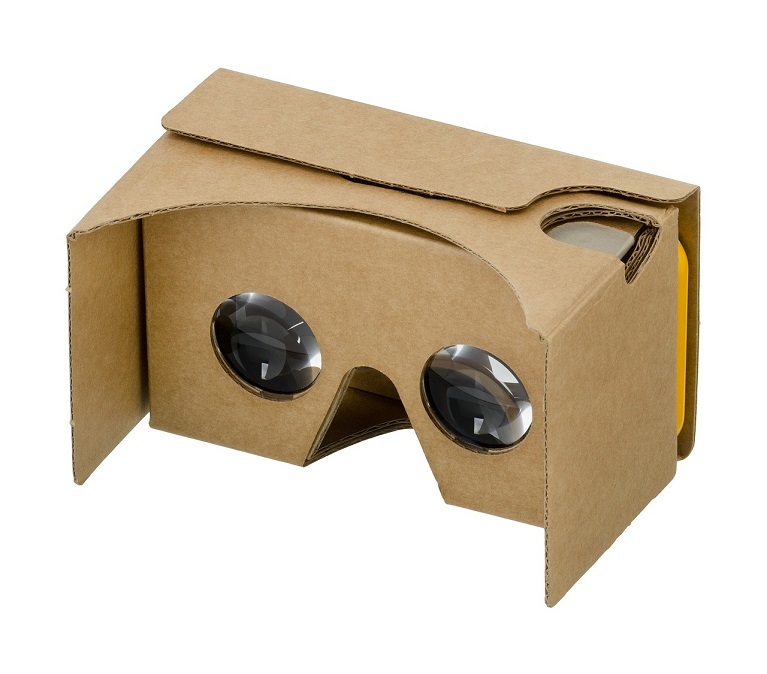 Unlike VR (virtual reality) video, it can be viewed on personal computer or mobile devices without the need for a special headset. Both YouTube and Facebook added support for viewing 360-degree videos to their platforms in 2015, followed by Vimeo in 2017. Tourism marketing has found 360-degree videos (especially with a drone) incredibly effective, but marketers in other industries are using it to tell a compelling story. You can share a corporate event, showcase your store or trade-show booth, or give your clients a ‘behind-the-scenes’ glimpse of your team at work. Studies have found that 360-degree videos produce higher conversion rates, more web traffic, and valuable feedback. Identified by marketers as ‘sticky’ content, viewers take their time to explore the videos and often re-play them to see what they may have missed. Here’s where you get your headset on and take control of the camera. There is some confusion about the difference between 360-degree video and virtual reality. While the former presents multi-directional viewing of live-action scenes, virtual reality produces a digitally-created environment through high-end graphics and audio sensations that the users can control. 360-degree videos are immersive, with the filmmaker controlling the story, while viewers can interact with virtual reality videos. The technology is familiar to gamers; but it is gaining use for other applications, including clinical therapy, pain management, education, training, architecture, engineering, entertainment, and the arts. Marketers are seeing its benefits: products can be viewed from every angle, and injected into the customer’s home or office setting. Architects can finesse design features and present virtual models to their clients, while realtors can offer their prospects a quick tour of comparative properties. Major brands from Coca-Cola to Volvo to Boursin have used VR techniques to freshen their message, and Google has developed a fold-out cardboard viewer as a low-budget way for anyone to take part in the experience. Facebook recently launched Facebook Spaces for Oculus Rift users, allowing people to create an image of themselves that can interact with friends in a virtual world. Projected estimates for VR users in 2018 are upward of 170 million, as contrasted with 200,000 in 2014. Content marketing is dynamic; video is a driving force; and competition is lively. Low-quality videos will get lost in the crowd … quality, creativity, and innovation are the keys to a winning strategy.